The destination’s promotional efforts aimed towards the South American giant, including a press trip for the Brazilian media and the participation of the Riviera Nayarit in Brazil’s “Festival de Turismo de Gramado” have generated direct visits, which include the 43 Brazilians that stayed at the Hard Rock towards the end of this month. 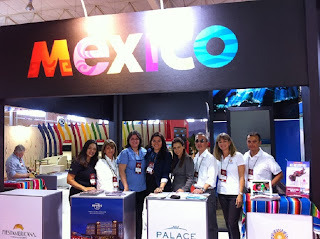 The Riviera Nayarit has undertaken a very strong promotional campaign within the Brazilian market. For example, a recent FAM trip to the Riviera Nayarit for six members of the Brazilian media took place November 16-19 in collaboration with the Mexico Tourism Board (MTB) and Copa Airlines. The invited media—all tourism specialists—arrived in Guadalajara in order to experience for themselves how that destination can serve as a gateway for other tourism circuits on their way to the Riviera Nayarit. Among the guests were Shirley Pacelli Souza Silva, a journalist from Estado de Minas; Livia Marra, writer for Folha de São Paulo; Kátia Arantes Lessa and Jose María Llanos Martínez, writer and photographer for Editora TRIP; Luciana Gonçalves Veras de Morais, writer for Revista Continente; Nathalia Ilovatte, writer for R7; and Barbará Blas, writer for Companhia de Viagem. They all flew in from different cities, and during the visit were treated to visits to different towns and attractions including San Pancho, Sayulita, La Cruz de Huanacaxtle, the Marina Riviera and the Marietas Islands. They also enjoyed the culinary specialties presented during the XIX Gourmet Festival, which coincided with their visit. The writers’ enjoyment was further enhanced by the excellent service offered by the Villa La Estancia and the Marival Residences, not to mention the adventure and thrills courtesy of Vallarta Adventures. The Riviera Nayarit participated in the Festival de Turismo de Gramado (Gramado Tourism Festival) that took place in Rio Grande Do Sul with the intention of promoting the tourism industry with travel agents and specialized press. During the November 7 – 10 event there were 14 thousand visitors to the 400 stands manned by 2,500 exhibitors on the 17,000 square-meter exhibit floor.